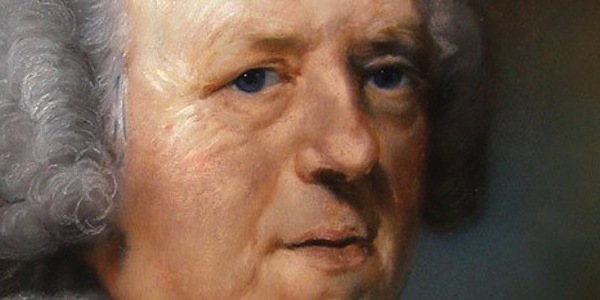 From John Newton’s Cardiphonia:. This book strongly influenced poet Hannah More, of the Clapham Sect, the group (Wilberforce was a member) that was instrumental in abolishing the slave trade in the United Kingdom. John Newton, Richard Cecil, The Works of the John Newton, vol. 1 (London: Hamilton, Adams & Co., 1824), 439. “We do not have a strong church today, nor do we have many strong Christians. We can trace the cause to an acute lack of sound spiritual knowledge. Why is the church weak? Why are individual Christians weak? It is because they have allowed their minds to become conformed to the “spirit of this age,” with its mechanistic, godless thinking. They have forgotten what God is like and what he promises to do for those who trust him. Ask an average Christian to talk about God. After getting past the expected answers you will find that his god is a little god of vacillating sentiments. He is a god who would like to save the world, but who cannot. He would like to restrain evil, but somehow he finds it beyond his power. So he has withdrawn into semiretirement, being willing to give good advice in a grand-fatherly sort of way, but for the most part he has left his children to fend for themselves in a dangerous environment. 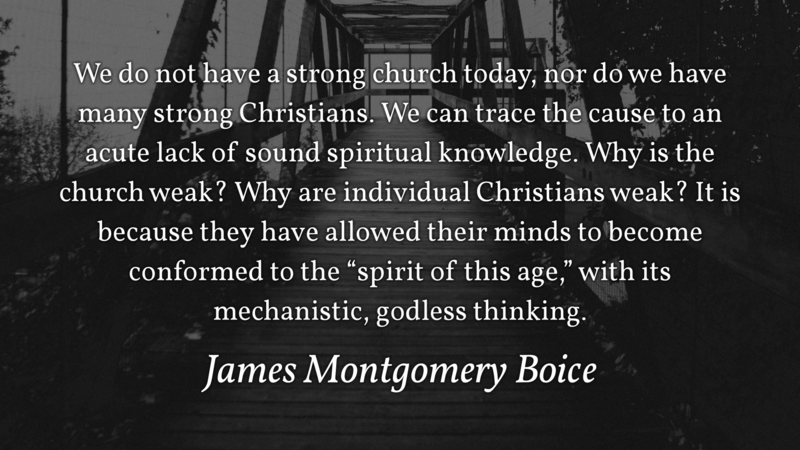 James Montgomery Boice, Foundations of the Christian Faith: A Comprehensive & Readable Theology (Downers Grove, IL: InterVarsity Press, 1986), 25–26.